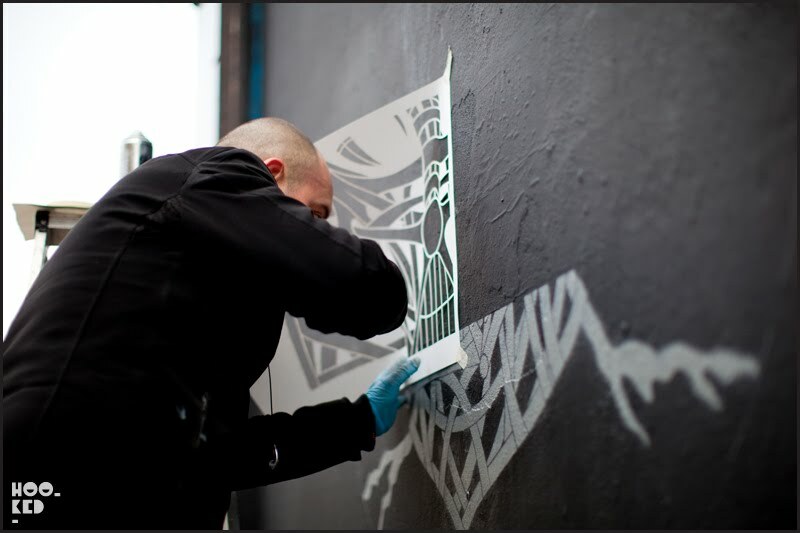 We caught up with street artist Otto Schade just before Christmas as he was finishing up work on a commissioned piece on the outside of the Mother bar located on Old Street in East London. The artist's elaborate stencils have been popping up across the East End on shutters and walls over the last year and this evening will see the artist take his work indoors for his first London solo exhibition. The exhibition hosted by Lava Collective is the first in their series of artist showcases. 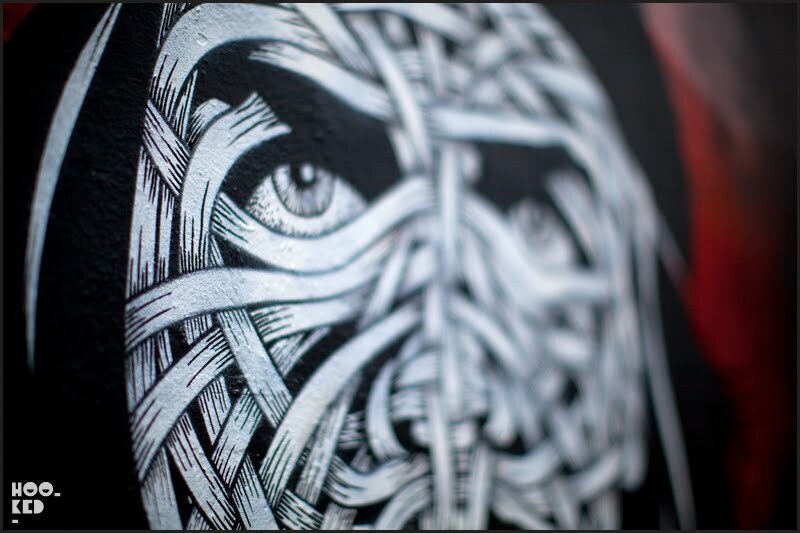 They have invited Otto Schade to display his artwork at their new headquarters in Kingly Court in central London. The opening reception is this evening 6 January 2011 from 6pm onwards, after which the show will run for a fortnight until the 19 January. I have seen his stuff around, but didn't know who it was that was doing it.. it is good to know, i quite like it. You should go and see the show if you get a chance.